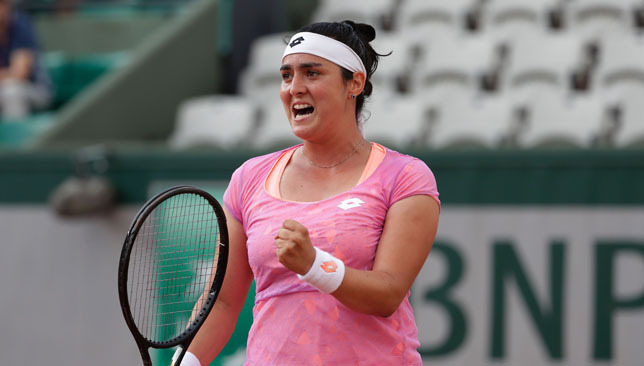 Ons Jabeur became the first-ever Arab woman to reach a Grand Slam third round in singles as she claimed a maiden top-10 victory with a 6-4, 6-3 triumph over sixth-seeded Dominika Cibulkova on Wednesday. The Tunisian 2011 Roland Garros junior champion wrapped up the win in 85 minutes, playing some lights-out tennis and benefiting from an error-prone Cibulkova. Jabeur, who had only ever played just one top-10 player prior to this match, hit 30 winners against just 17 unforced errors, compared to 13-18 from her opponent. She is now on the brink of breaking the top-100 for the first time, which would make her just the second-ever Arab woman to hit that milestone, and the first since Selima Sfar in 2002. Jabeur is the first lucky loser to reach the French Open third round since Gloria Pizzichini in 1996. Jabeur’s signature drop shots were on display early on but it is her strength in her own service games that helped her in the opening set. A net cord helped Jabeur claim a crucial point in game nine, as she won a battle at the net against the Slovak. She then got a break point thanks to a brilliant return and found the forehand cross-court winner to break for 5-4. Serving for the set, she started with an ace, and despite pressure from Cibulkova, the Tunisian took a 6-4 lead in 38 minutes. The 22-year-old faced zero break points in that set. Cibulkova went off-court for a toilet break and had to fight off multiple break points upon return to hold for 2-1. The No6 seed got her hands on her first break opportunities of the match the following game and went up 3-1 with some aggressive hitting from the baseline. Jabeur struck back immediately though and held for 3-3. Another merciless drop shot help Jabeur create two break points and she capitalised on her first chance, breaking for 4-3 with a killer dropper. Cibulkova saved a break point with a lethal backhand in the 10th game. But Jabeur responded with her own monster backhand to get a second match point. That too went away but she got a third chance on a long ball from Cibulkova. And she was third time lucky as Cibulkova double-faulted to hand Jabeur her first-ever top-10 victory. Dynamic duo: Toni and Rafael Nadal. There is a story Toni Nadal likes to tell. When his nephew and student, Rafael Nadal, won the Spanish Championships when he was 11 years old, Toni wanted to make sure he never got too satisfied by what he had just achieved. He called the Spanish Tennis Federation, got the list of the past 25 champions of that tournament and started listing the names to Rafa, many of which were unrecognizable. “At the end, there were only like five names we knew out of the 25. I told him ‘this is the possibility that you have’,” recalls Toni. Rafa’s relationship with Toni as his life-long coach has been the cornerstone of the Spaniard’s career. Together, they’ve won 14 Grand Slam titles and smashed countless records. This fortnight, it will be their last hurrah together at Roland Garros, as Toni will stop traveling with Rafa after the end of this season. Rafa is attempting to win a mythical 10th French Open crown, which would be the perfect parting gift for his uncle in Paris. Surely this last outing with Rafa here in the French capital has a special feel to it, no? “No, not at all. 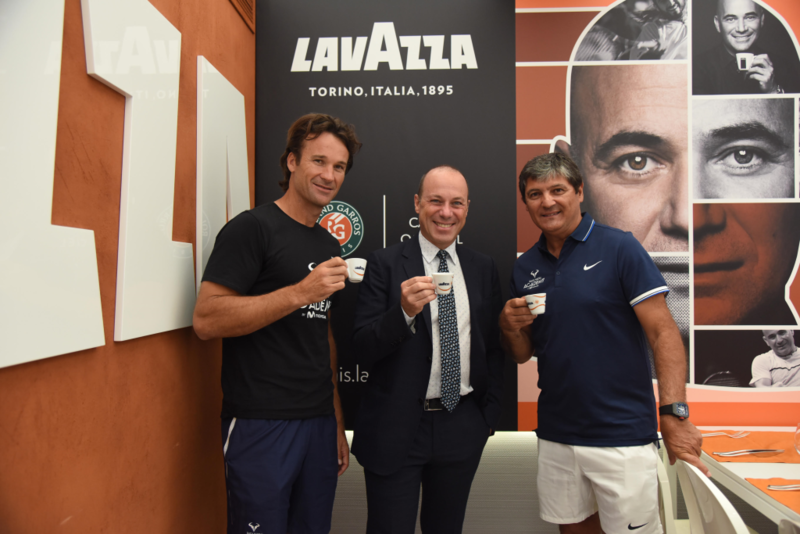 For me it’s not special,” Toni told reporters at the Lavazza Lounge at the VIP Village of Roland Garros. Much has been made of Rafa’s attempt to complete an unprecedented ‘La Decima’ at Roland Garros. He has tried to grab that 10th title in each of his last two appearances in Paris, but lost in the quarter-finals to Novak Djokovic in 2015, and withdrew due to a wrist injury before his third round last year. 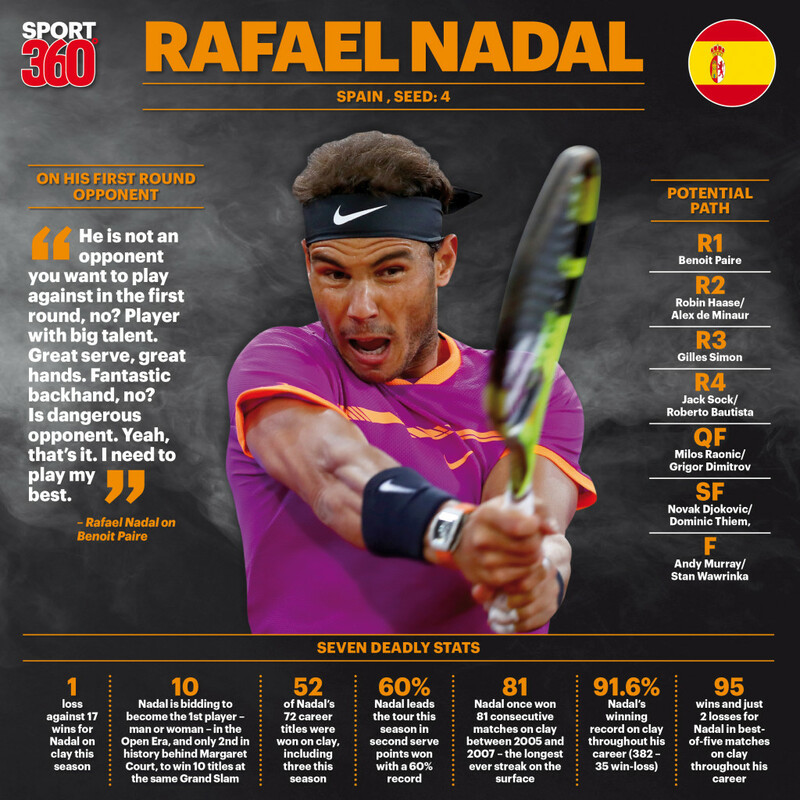 The tennis world is waiting to see if Rafa can pull it off this fortnight, but for Toni, the number ‘10’ is “nothing special”. “When we arrived here after winning the final against (Mariano) Puerta (in 2005), I thought ‘wow, this is so good, we have won Roland Garros’. A dream many players work hard to achieve and we have done it,” said the Mallorcan coach. “I thought ‘okay, we have this trophy now’. Then when we arrived the following year, we tried to not to think about 2005. But when he arrived here, Rafael was very nervous. When we arrived in 2007, it was the same, we didn’t think about the previous two Roland Garros. And for me it was special when he won the third. It was special when he won the fourth. “There is a bigger difference between one and two, than between nine and 10. Between nine and 10 is only 11 per cent. From one to two is 50 per cent. Two of three is 33 per cent. And then is 25 per cent. This is the difference. It has been three years since Rafa has won a Grand Slam title, with his last success coming at the 2014 French Open. Toni acknowledges that this drought makes things a bit different for them in their pursuit of a 10th crown here. “For this yes, maybe. A little different, because in the last two years, Rafael hasn’t won a Grand Slam. But I know that every good player, McEnroe, Connors, I dunno… Bjorn Borg… there’s a moment when they couldn’t win another Grand Slam,” explained the 56-year-old. Rafa’s road back to what appears to be his top form has been a long and winding one over the past three years. “He had many problems, in his knees, his wrist, then he had a problem in his mind,” is how Toni describes it. While fixing injuries is more about science, facts, rehab, and recovery, fixing a mental problem is far more complicated. How did they manage to put Rafa’s mental issues behind him? “I remember last year when he decided to stop, we had a meeting in the academy. He said ‘we have to talk’. I said ‘good, what do you have to do for next year?’” says Toni. “First he told me ‘until my wrist is better, I won’t come back’. “‘Okay, then what do we have to do next year? We have to recover your forehand, you have to play your forehand harder, you have to improve your serve. You have to change because life has changed and the game gets faster and faster every year’. “Then I said ‘you have to change your face. You have to be competitive every tournament. It’s the same if you have problems or not. If you can make this, then you have no reason not to be again at the top, but you have to make these changes. It’s your problem, you have to make these changes or not, do what you want’. Toni says he always believed that once Rafa recovered his mental strength, he would be able to return to the top of the game. The 30-year-old – 31 next week – is currently No1 in the Race to London and No4 in the world rankings. He has won Monte Carlo, Barcelona, and Madrid in recent weeks, and reached the Australian Open final last January. He ended his seven-match losing streak to Djokovic in Madrid earlier this month, which surely must have been a psychological win more than anything else. “To beat Djokovic is always very important but at the end, the most important thing is to win the tournaments,” insists Toni. “I remember in 2011 Roger Federer beat Djokovic in the semi-finals. 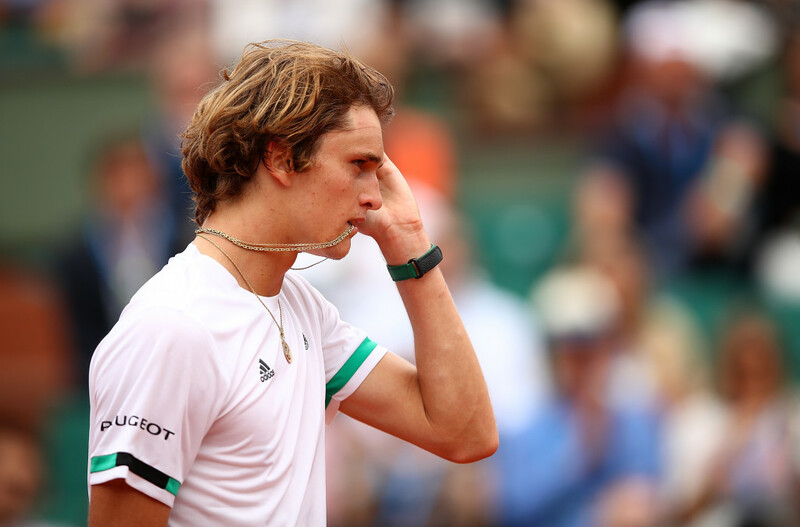 But in the end Rafael won Roland Garros. Besides his mental strength, Rafa’s legendary forehand that had tortured the likes of Federer for years often looked like it had lost its punch in recent seasons. Does Toni feel his nephew’s forehand is back to where it used to be? “Completely? I never know. But I think his forehand is so much better,” he says. “The problem that we had before is that he used to play his forehand when he was young, when he started with his forehand, normally the point is finished, he starts with his forehand, one, two, three, four and the game was finished. And that was our strategy. The changes in strategy have worked and Rafa is back to where he wants to be – a real contender for all the big titles. 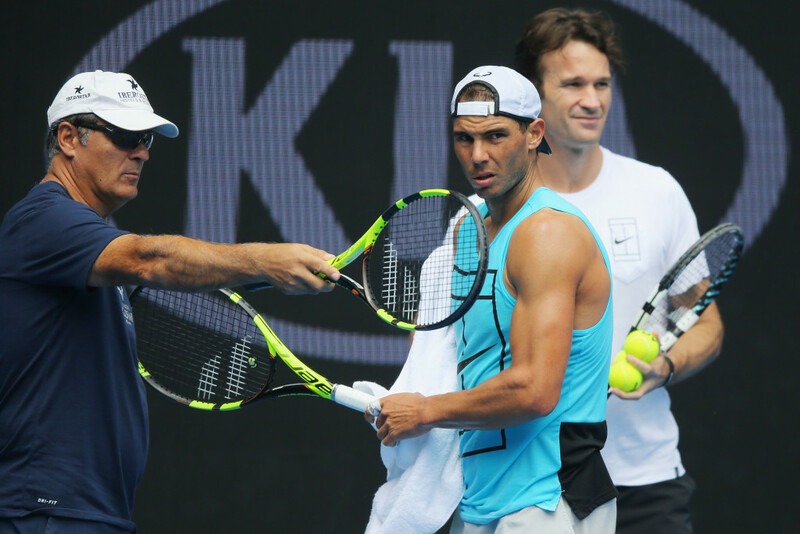 Since Carlos Moya joined Team Nadal at the start of this season, Rafa has had three coaches in his camp – Toni, Moya and Francis Roig. 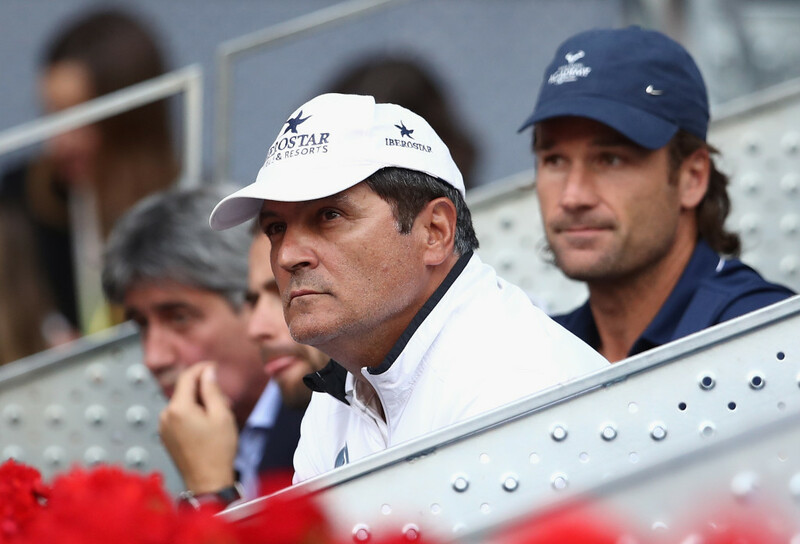 Toni says his decision to stop coaching his nephew next season came when he saw how well Moya and Rafa were working together. But is he not worried about how Rafa will compete without his help next year? “How can he play without me? Exactly the same. I am sure,” insists Toni. “The only thing I think he can be so much better because when he does something wrong, no one will say anything, that’s so much better for him,” he added with a laugh. “I know for example, one day in Monte Carlo this year, we practiced and the guy who practiced with Rafael was playing really bad. We had to practice with him for two hours, and Carlos Moya told Rafael ‘it’s better to finish with this guy because he’s making a bad practice day for you’. And Rafael said ‘yes, it’s better’. So I said ‘the fault is not only for our partner, it’s for you too, because you made a bad practice day’. And that’s not what happened. “In the next days when I’m not here, maybe the problem is always the sparring not Rafael. What is better? I don’t know. Maybe it’s better to say nothing,” he concluded with a chuckle. 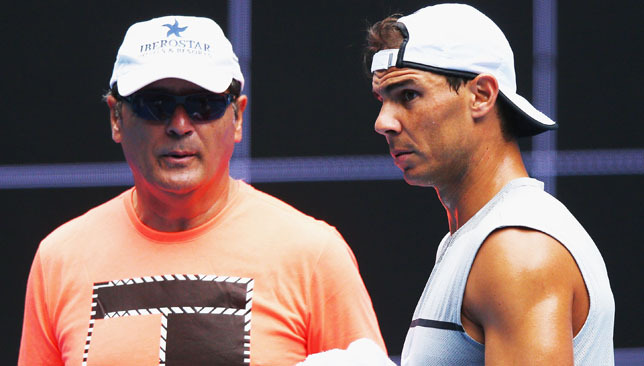 Toni has a reputation of being strict with Rafa, and he was outlined in his nephew’s autobiography as someone who has been hard on him through most of his career. In Toni’s eyes, it is more tough love than anything else. “I am never so strict. I’m not strict. I am hard with my words only, because I think that’s the good thing for him, nothing else,” he explains. “I’m never hard with someone who can’t handle these hard things. Toni has no doubt left a lasting influence on Rafa, but he makes sure to remind us that it is his nephew that has special qualities that have allowed him to become a champion. “What is talent? Talent is the capacity of work. Talent is intelligence, talent is the capacity to win matches when you play bad, and to think about your game and changing something. I think Rafael has more talent than Moya or Ferrero for this reason he has won more,” says Toni. So if Rafa will survive just fine without Toni, will Toni be able to stay away from the tour? Won’t he at least miss the adrenaline, or will he join Rafa at some tournaments next year? “No I won’t miss it,” he laughs. Banned from 2017 French Open: Maxime Hamou. The irony is not lost on anyone. Maria Sharapova was denied a French Open wildcard to preserve the “integrity of the sport” yet two of the players who did receive invitations into the tournament were involved in controversial incidents this week – albeit one of them much more serious than the other. Frenchman Maxime Hamou, who had received a wildcard into the qualifying tournament, and won three matches to make it into the main draw, sexually harassed Eurosport journalist Maly Thomas on air while she was trying to interview him following his loss to Pablo Cuevas on Monday. Hamou forcibly kissed her on the cheek and neck more than once and put his arm around her neck, despite her resistance, as she kept attempting to escape his grasp. Thomas’ colleagues on Eurosport reacted by laughing while witnessing Hamou’s horrifying behaviour. The French Tennis Federation (FFT) acted fairly quickly on Tuesday when the video went viral on social media and they revoked Hamou’s credential. Hamou issued a statement apologising and Eurosport issued a statement apologising to viewers who may have been offended and to ensure everyone they do not condone the 21-year-old’s behaviour – despite the laughter from Thomas’ colleagues during the broadcast. Thomas told Huffington Post that she would have punched Hamou had they not been live on air. The sad thing is, had she actually punched him, the story would have been more about her getting violent than anything else. Like how dare she make a scene on television? Why do men think they can act this way when a woman is simply trying to do her job? The FFT calling what happened “inappropriate behaviour” is an incredible understatement. And the fact that the natural response of Thomas’ own colleagues is to laugh just shows the culture and blasé attitude towards such offences that is propagated in what continues to be a male-dominant profession. It honestly makes me sick to my stomach. 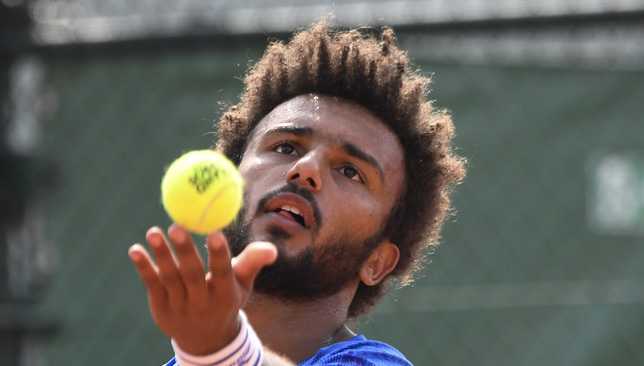 Elsewhere, another French wildcard, Laurent Lokoli, made headlines for refusing to shake hands with Martin Klizan after his 7-6(4), 6-3, 4-6, 0-6, 6-4 loss to the Slovak. Lokoli then accused Klizan of faking an injury. The two players exchanged words during the fifth set with Klizan pointing out that the crowd was being unfair towards him, while Lokoli was upset his opponent celebrated after a double fault from the Frenchman. After Klizan won, he walked to Lokoli’s bench to shake his hands but the Frenchman waved him away. Lokoli stood by his decision to snub Klizan when he was quizzed about it in his press conference and insisted that he was standing by his own values, as he hit out at his opponent’s alleged gamesmanship. Yes, it sure has been a dramatic day in Paris. Passanti, tweener e volée tra Dustin Brown e Gael Monfils. 8 – games Marketa Vondrousova has dropped in four matches here so far (qualifying and main draw). The results of her matches have been: Q1 – 6-1, 6-0; Q2 – 6-0, 6-1; Q3 – 6-1, 6-4; R1 – 6-1, 6-0. Vondrousova for the Roland Garros title anyone? 400 – Tour-level match wins for Gael Monfils after his straight-sets victory over Dustin Brown on Tuesday. The 22-year-old French wildcard Paquet, ranked 260 in the world, took out world No44 Kristyna Pliskova, who had made the Prague final on clay earlier this month. This was Paquet’s first ever Grand Slam match win in four appearances – all in Paris.